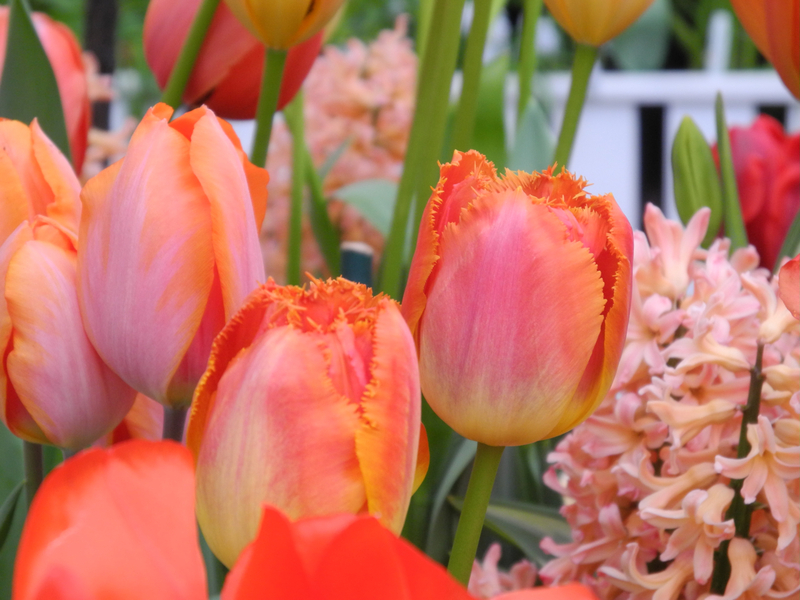 This time of year the spring flower shows at the Smith College and Mount Holyoke College Botanic Gardens are the perfect antidote to the late winter gloom outside. I thought I’d share a few photos from my visits to the greenhouses. Click on any thumbnail to launch the slideshow. Posted on March 17, 2013 by kate. This entry was posted in Gardening and tagged bulbs, camelia, cherry blossoms, daffodils, flower show, flowers, hyacinths, narcisus, spring, tulips. Bookmark the permalink. Thanks for brightening up my morning. Not liking the forecast (snow) for this evening into tomorrow, hope the weatherman is wrong. Love your wonderful flowers. We are still in the grips of winter here so I enjoyed your lovely photos.